We’d love your help. 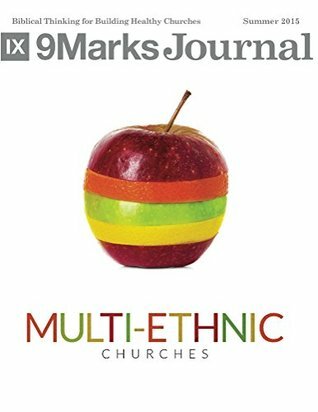 Let us know what’s wrong with this preview of Multi-ethnic Churches | 9Marks Journal by Jonathan Leeman. Satan has always loved to exploit the lines of ethnic division. Think of how the Egyptians in Exodus hold the Jews in contempt. Or how the brand new Jerusalem church, price sticker still on the backseat window, divides in Acts 6 between Greek-speaking and Hebrew-speaking Jews. So churches today too often mimic their host culture’s ethnic rivalries, whether in South Africa, Satan has always loved to exploit the lines of ethnic division. Think of how the Egyptians in Exodus hold the Jews in contempt. Or how the brand new Jerusalem church, price sticker still on the backseat window, divides in Acts 6 between Greek-speaking and Hebrew-speaking Jews. So churches today too often mimic their host culture’s ethnic rivalries, whether in South Africa, India, or America. Or at least, too often they forget they possess a resource for overcoming racial or ethnic strife that the world does not have: the gospel. The blood-bought reconciliation that believers share with one another in the gospel, ethnically and otherwise, does not require any one of us to participate in any one form of reconciling work, as in, “If you don’t carry that picket, you’re not a Christian!” But it does require all of us to undertake some sort of reconciling work. Those who have been made one new man work as one new man. It’s just what they do. Consider this Journal 9Marks’ way of inviting you into that work of ethnic reconciliation. Don’t you want to see churches in South Africa, India, America, and everywhere not lagging behind their neighbors in this area, but pushing out ahead? What a witness that would be to the power and glory and goodness of the gospel! Most of the articles have been borne out of the American experience, but hopefully the lessons will translate into any national setting. Brian Davis begins very much in the moment of cultural crisis and walks us by the hand out of it. Jarvis Williams then explains the relationship between the gospel and racial reconciliation. Trillia Newbell exposes the symptoms of racism in our hearts where we might not have recognized them. Isaac Adams and Russ Whitefield point us to some unexpected lessons of humility as we approach the topic. Turning to multi-ethnic churches, Aubrey Sequeira provides a substantial and foundational theological piece. John Folmar, Gustav Pritchard, Jeffrey Jue, and the brothers in the pastoral forum advise us on how you may or may not go about building a multi-ethnic church. Juan Sanchez and John Smuts offer a couple of case-studies from their own situations. Isaac Adams and Tim Chiang provide a couple of the more challenging pieces for White readers in White churches, while Patrick Cho gives advice for predominantly Asian-American settings. 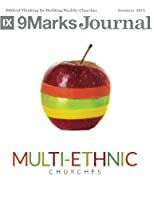 To ask other readers questions about Multi-ethnic Churches | 9Marks Journal, please sign up.